Backups are an essential piece of website security. Backups provide a safety net in the event of a bad thing happening. Servers fail, Websites are hacked, but if you have a backup, you always have a way to get your website back online in minutes rather than weeks. This is why we include Automatic Backups in all of the Website Maintenance Plans we offer. We install the Backup Buddy Premium Plugin (an $80/year value) on all of our websites. Typically we will setup automatic backups to backup your database every week and your entire site every month. Optional- checkbox to send the backup to a remote destination. 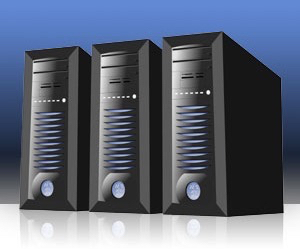 Our Professional and Ultimate Maintenance packages include offsite backups to our Amazon Server. If you have our Standard plan, you may want to setup a remote destination like Dropbox, more on this below. Check below your backups to download, restore, or offload your backups. Restoring your entire website is possible. Just download the import script and a backup and run the import script. Migrating means you are moving your website from one web host to another. We work with many high end WordPress hosting companies and don’t recommend many of the popular options. So if you work with us long term, we recommend migrating your website to a faster higher quality web host. The process is the same as Restoring Your Website. The only difference is that you must place the backup and import scripts on the new host’s server. Before this gets too technical, we will help you with migrations when the time comes. Remote Destinations include: Backup Buddy’s Stash service, Amazon S3 (Where we hold backups), Dropbox, Rackspace, another FTP server, or Email. Please note that Email is generally used only for database backups as full backups will be too large for email. Choose your Backup Destination and set it up. As we said earlier, we setup Weekly Database and Monthly Complete backups so you’re always covered. If you are generating more content on the website, we can adjust these settings. In general, you will not need to change any of these settings except for one exception. If you host multiple websites in one web hosting account, you will want to exclude those directories of your other websites. Backups are essential for your business website. And it’s just one of the ways we keep your online business safe and secure.